Under Arizona law, grandparents may have certain rights to custody and visitation with their grandchildren. Grandparents rights should be balanced with parents’ constitutional right of control over their children. At the Law Office of Karen A. Schoenau, in Scottsdale, AZ, we are dedicated to protecting a grandparent’s rights to have access to their grandchildren and also a parent’s right to protect their children. We know that each family is different. Sometimes grandparents’ right to see their grandchildren can be critical to the life of those children. Other times, parents may want to prevent that visitation from occurring. Regardless of your situation, we can help. We use forceful advocacy and more than two decades of experience to help families achieve the best possible results in grandparents’ rights cases. We have built a history of success in this area and we continue to strive for success in each and every case we take on. Karen Schoenau handled a case that was on the front lines of grandparents’ rights in Arizona. 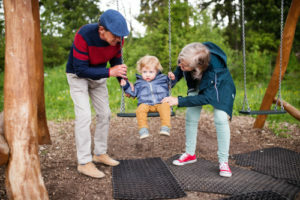 She has been successful in attaining custody and visitation rights for grandparents through the in loco parentis law as well as through guardianship, dependency proceedings, and the grandparents visitation statute. She has also successfully represented parents who have good faith reasons for limiting grandparent access. History of the relationship between the child and the grandparent seeking visitation. Reason the grandparent seeks visitation. Reason of the parent or other person denying or limiting visitation. The visitation offered by the parent. Quality of the visitation time and the potential impact that visitation will have on the child’s activities. If the child’s parents have passed away, the benefit of maintaining a relationship with the grandparents. What type of contact is in the best interests of the child. When you have questions about your rights as a grandparent, talk to our experienced lawyer. Get real answers that apply to your situation. Contact us at 480-845-0251 or online.